Sales benefits and features make your sales introductions stand out at face to face meetings and on cold calls. Add a feature and a benefit to gain attention. Use benefits to give prospects a reason to listen to the rest of your message. With a feature and benefit line you can quickly communicate what your company does. By adding a feature and benefit you not only explain what it does, you also include what it could potentially do for the prospect. In the first few seconds of a meeting or telephone call, during your sales introduction, your prospects are searching for points of reference to help them to understand why you're talking to them. If you just give them your company name it tells them very little about what you do, or what you could do for them. 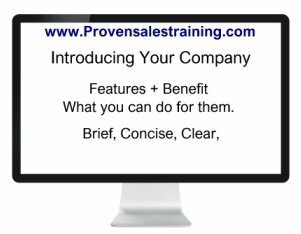 But including sales features and benefits of your business in your sales introductions will give them plenty of information that they can quickly process. They soon understand what you do, a feature of your business, and how that feature may benefit them. 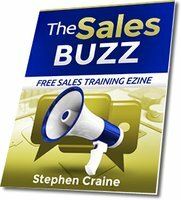 Once you know how to quickly use this technique when introducing your name you can start using it at other points in the sales process.